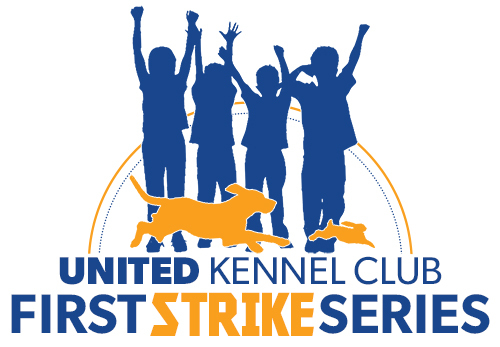 The First Strike Series recognizes young handlers and ensures the future of the sport. There are two separate series: one in the Hunting Beagle Format; and one in the Performance Pack format. Each series recognizes those junior and senior youth handlers in both the hunts and shows. Junior Division: Youth Handlers who are 7 years old to 12 years old will earn points in the Junior Division. Youth Handlers who are 13 years old to 17 years old will earn points in the Senior Division until their 18th birthday. The points of a Youth Handler reaching his or her 13th birthday during the calendar year will continue to reflect in the Junior Division for high point honors. Points can be earned for both hunt and bench show competition accomplishments. Points earned in Hunt and Bench Show will be included in the Youth Handlers total points earned. However, Bench Show points are limited to not exceed the number of hunt competition points earned when the total is determined at the end of the calendar year. Note: This is not a rule for each individual event. Its a rule that only affects the final total points awarded at the end of the calendar year. Example: John Doe Jr.: year-end Hunt points total = 75; year-end Show Points Total = 100; year-end Total Points Earned = 175. Result: Net Point Total = 150. Any Youth Handler may compete with no more than two dogs in a hunt and or a show on the same day. The dog(s) they compete with in the hunt do not have to be the same dog(s) they compete with in the show. The dog they compete with is not required to be a dog that is registered to the youth as the owner. Points may be earned throughout the calendar year (January 1-December 31). 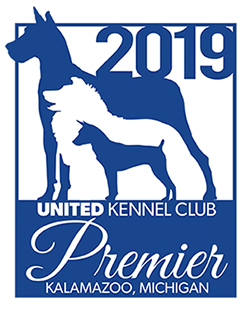 Standings will be updated monthly and published on the UKC website and in American Beagler magazine. The 2017 season will be an abbreviated series that will start on May 1, 2017 and end on December 31, 2017. Whenever a youth is handling more than two different dogs in a hunt or more than two different dogs in a show, it is the youths responsibility to clearly advise the entry takers, at the time of entry, which two dogs they are competing with for Series Points. It is the responsibility of the event official (Master of Hounds and Bench Show Judge) to complete the First Strike Youth Series Results Form that is included with the Event Report. That form must be sent to UKC along with the Event Report. If there were no youth participating in the event that day, the event officials should indicate it as such on the form and include it with the Event Report regardless. At the end of the year, there will be three winners recognized in each age division. The highest total net points earned will be the Gold Champion. The second highest total net points earned will be the Silver Champion. The third highest total net points earned will be the Bronze Champion. The winners will be recognized and receive their awards each year at the Beagle Nationals Awards Ceremony.